Happy Belated Thanksgiving to all of you. I have been quite inactive for some time, but more about that in a separate post (here). I welcome you all to the Group-Buy of Ranga Emperor. Emperor is a new model of Ranga Pens. It is approx 145 mm in length and the barrel dia of the pen is 14 mm and dia of the cap is 16 mm. The pen is available only in chrome finish clip along with chrome trims. The Price of the pen is US $ 64 including Registered shipping. The pen is shipped within 1week once the order is confirmed. The seller has limited nos. of these pen in stock and the pen is shipped immediately after payment within 1 week. Payment to be done via Paypal only for international customers and for domestic via bank transfer. The seller has limited nos. of these pen in stock and the pen is shipped immediately after payment within 1 week. So , all colors of pens with Bock Nibs & Schmidt Converter? Can I use it as eye drop? Can you please state the section diameter? Thanks for initiating this Group Buy!!! The section dia 12.5mm at thickest point and app 11mm dia at thinnest point. I am really tempted by this. Does the price include shipping to Canada? "Life moves pretty fast, if you do not stop and look around once and a while you might just miss it." The offer is very tempting, I am even considering of taking more than one. 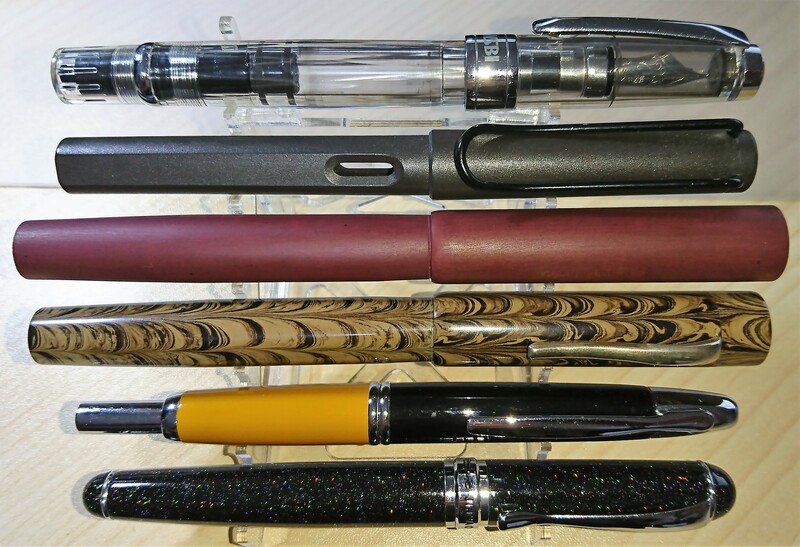 Could you please post a size comparison picture for both the round and flattop model with just any other commonly know pen (MB146/9, TWSBI VAC700, Lamy Safari etc)? I hope it could help other people like me to decide. Yes Sir. Worldwide free shipping . Tracking may not work most of the times. But Package will be delivered safely. Ok. I will do that with other Ranga Models. 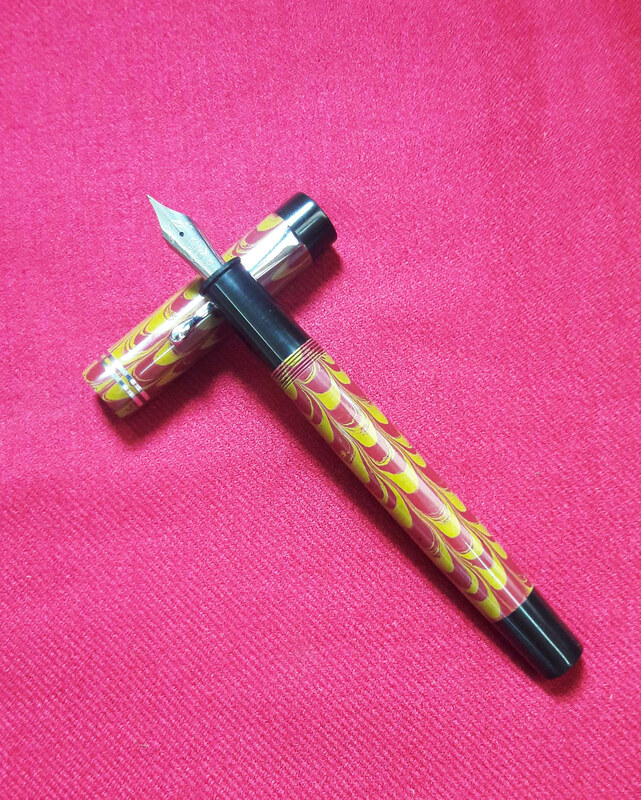 It is same size as Ranga Duofold (Model 3 ) Pen. I missed last group on June, when will the next group buy for the other types? I'm interested in Giant Bamboo type. 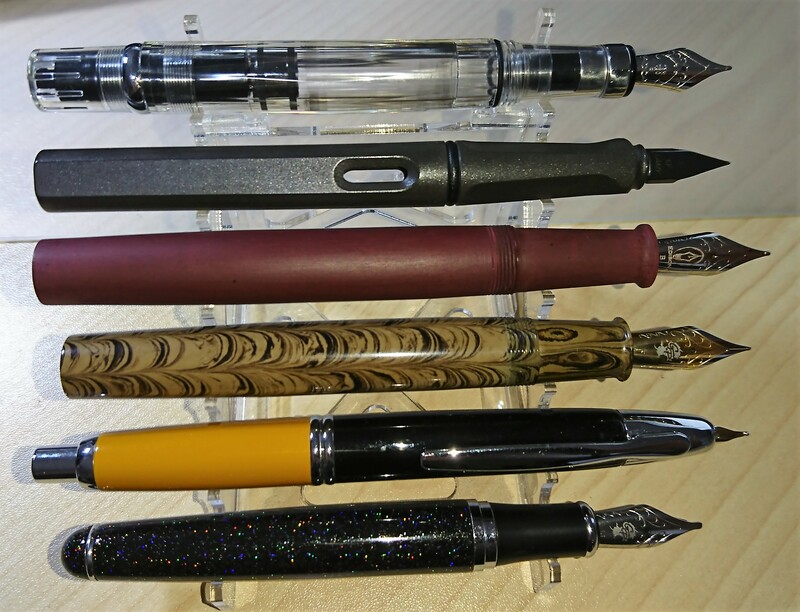 I don't have an Emperor pen, but here's a comparison of my Ranga Model 3 (maroon matte) and an older Duofold (mottled brown), with (from top to bottom) a TWSBI Diamond 580, Lamy Safari, Pilot Vanishing Point and Jinhao x750 - both capped and uncapped. Edited by Jobesmirage, 30 November 2017 - 02:27. Thanks for your great support as always. We have started the shipments already. You will get the shipping updates on this weekend. New to join group buy,So I need to post the info here?